** The Complete 2019 Draft Scout Master Report (Full Ratings, Workout Results, etc) is Now available for purchase (9.95), for the first time Ever to the general public. The Same Full Draft Pool Exported Excel Sheets that were contracted by & seen on CBS Sports, USA TODAY, Lindy's, NFL.com, among other Major Media Wesbites & Publications at some point during the past 15 years. An Updated Post Draft Version filled in with Drafted, Free Agent Tiers & Mini-Camp Tryouts - End of May. The Player Profile Page with the Testing Results is being rebuilt and will be upldated next week. Rebuilding other older Site Pages - Draft Tracker, History, College Football Player News, etc. Thanks for visiting the current, in progress, redesign of NFL Draft Scout! Please pardon the mess as the old website is converted to the new server and format code to display all the information. The goal is the 2019 College Football Season opening weekend and to update/build out this NFL Draft's Player Data & Ratings as well. It's been a while since I have been out on my own, and have been much hidden behind the scenes, for 18 years to be exact. I am hoping to make this all work how the old hidden members website did, with some new technology mixed in and designed features that was never made public. Thanks again ... for the Past, Present & Future Support! Recoding a lot of the old hidden NFLDraftScout.com Member folder pages. If you never knew, there was one. It was used by numerous people in this business, from GM's and Scouting Directors to Area Scouts, Team Media, NFL Agents, etc. We kind of called it our R&D Staging Zone. Research & Development, the Mothership. It was where we did all the data work, Ratings compile, Profile editing and storage, etc. All online in Real Time, kind of like now but on a way better, stronger server platform. Basically, everything before exporting to Client sales. There was a LOT of areas started and never finished, planned yet never saw completion due to our move to CBS Sports back in 2006. As you can see now, the Combine Results Section is back online and working fine. It's just the basics for now but can and probably will be explanded out a ton. It even has the old top header row sorts (Columns in Yellow, applied to all sheet view pages) like many of you were requesting. More in Progress, including a Pro Day Results section just like the Combine one (by Position, School, Leaderboards, Historic Views & more), Yea right? Like who got and can support that? That is one Section that was hidden away I'm excited to bring out in design, a totally revamped Pro Day Leaderboard. Others include Prospects by Region of the United States for Area Scouts. Agents can use that as a tool as well I guess ... State, High School, Round Projection, all Cross linked. Better college groupings, roster, depth charts, all that important data sorting with all prospects linked from past Draft classes. Also, a dream of mine, would have to be Exclusive since like most everybody went back to 1999 after we did first. I know this because there were some errors in the 1999 data that was never crosschecked right. But ... the Full Combine Results and Draft ratings, build like what we have now, only ALL backwards from 1990 thru 1999. Not kidding. Talk about a MAJOR project! But to me, it needs to be done and will be well worth it (I'm NOT playing Dave T Thomas, I'm gonna pull it off! :). That might bring you out of retirement! Thanks again! For all the support! The main sections of Draft Scout, Player Ratings & Profile Pages are working for views but are going to be redesigned some and added to in the future as well. Some friends have come to aid in the process that have a history with Draft Scout, so hopefully it wont take long. 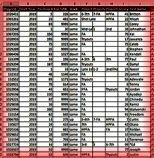 The Draft Scout Database started in 1998 as a Madden and NCAA Computer Football Video Game Player Ratings Database. 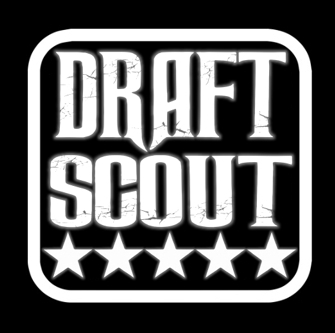 In 2004, Draft Scout's Database was part of a Visonary Scouting Solution that has Still not been offered or created by others today. Exciting Expansion Plans & Partnerships are in the Works.